Come celebrate the bounty of the waters at the 2014 Olympic Driftwood Sculptors Show and Dungeness River Festival, September 26th-28th, 2014! 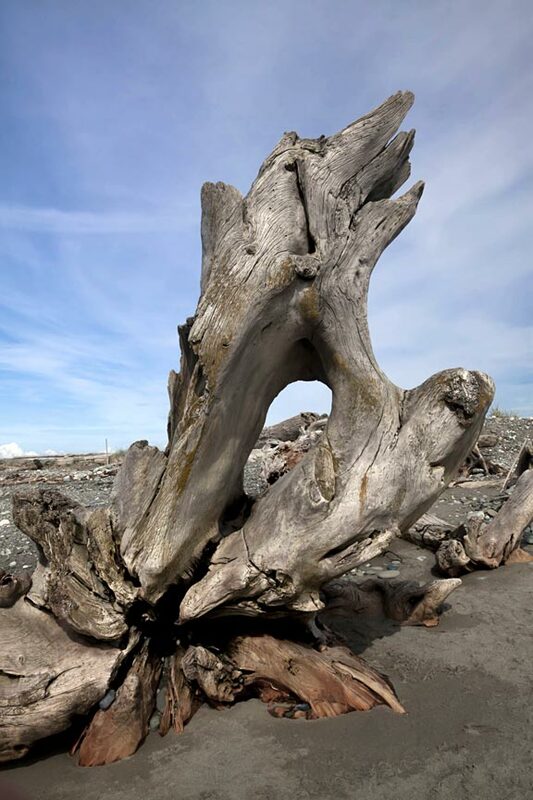 The 6th annual Olympic Driftwood Sculptors Show and the 15th annual Dungeness River Festival come together to make for a weekend of art, fun, and festivities on the North Olympic Peninsula that you wont want to miss! Held at Railroad Bridge Park and the Dungeness River Audubon Center, the celebrations are separate but intertwined, both focusing on the gifts of the area’s local waters. The 2014 Olympic Driftwood Sculptors Show will feature driftwood sculptures by many artists, based on the LuRon® method. This style of driftwood sculpting was developed by Lucile Worlund of Seattle and is unique to the Pacific Northwest. The concept behind the LuRon® method is not to shape the driftwood to your own scheme but to work with its existing forms to allow the the inner beauty of the wood’s natural shape to come to light. 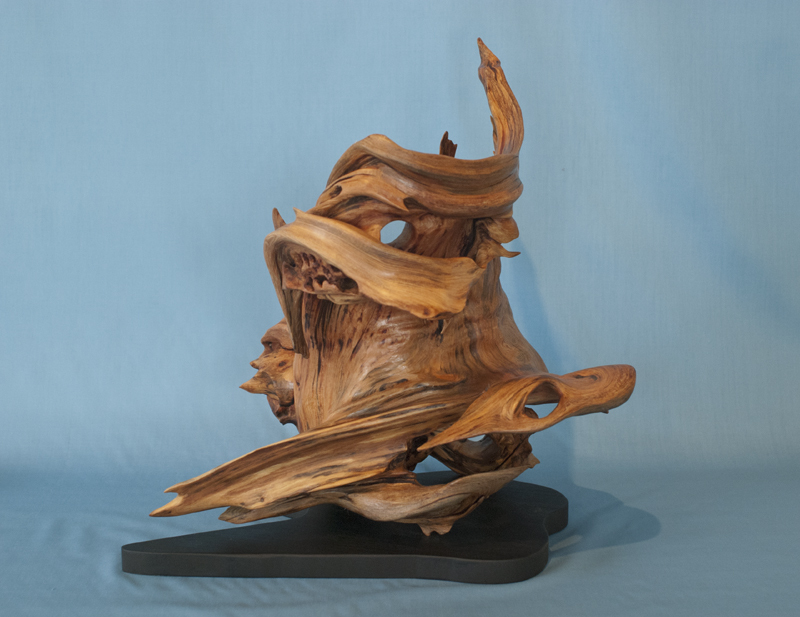 The driftwood artist sees, develops, and refines this natural, inner shape in the found piece of driftwood into astonishing works of incredible art. During the 2014 Olympic Driftwood Sculptors Show, artists will both display their finished pieces as well as demonstrate their process by working on pieces throughout the two days of the show. A Driftwood Boutique will offer various driftwood items for sale and attendees of the show will have the opportunity to purchase raffle tickets for a chance to win one of the sculptures. Occurring simultaneously at the park, the 15th annual Dungeness River Festival will be providing interactive exhibits and walks for the whole family that examine and celebrate the giving waters of the Sequim-Dungeness Valley watershed. Come enjoy the festivities with crowd pleasing activities like fish painting, live music, crafts, contests, food, drink and more! Don’t forget: when you visit the North Olympic Peninsula, you’re visiting Wine Country! 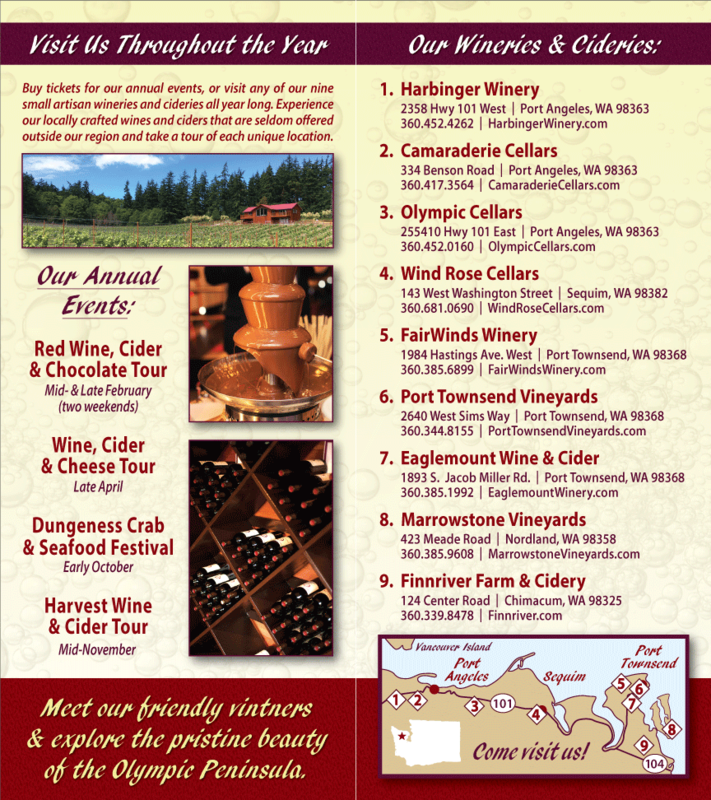 Stop by one or more of our Olympic Peninsula Wineries member wineries and cideries for a taste and a bottle or three of our fantastic wines and ciders! Most of our members are open for visitors, so don’t be bashful – stop by! The 6th Annual Winter Driftwood Sculpture Show of the Olympic Driftwood Sculptors is being held March 22nd and 23rd at the Dungeness River Audubon Center in Sequim.